Some time ago, my wife and I began using a traditional envelope budgeting system. Each month we would pull our monthly budget out in cash, divide the money into separate envelopes marked "groceries," "gas," etc and only spend out of these envelopes for the month. The issues we ran into included frequently forgetting to bring the envelopes to the store, or one person having the envelope when the other needed it. 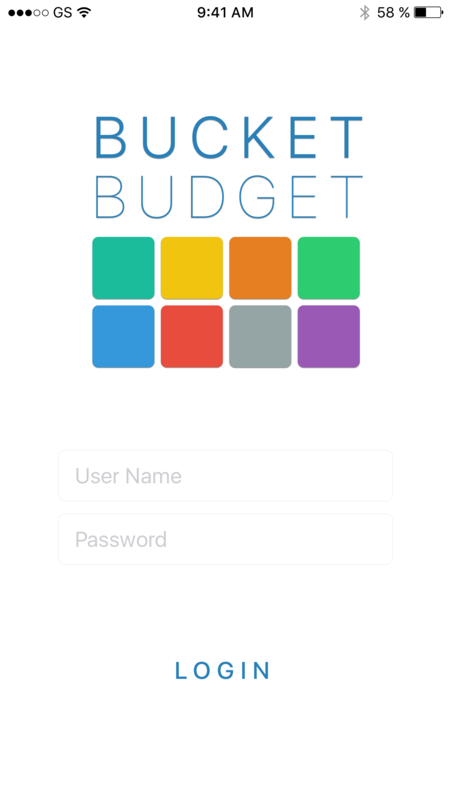 The Bucket Budget app allows users to set up a monthly budget by creating separate "buckets" for each category of their spending. When selected, money will be drawn from that bucket alone. Linked to the user’s bank account, the app allows couples with a shared account to access the information from separate locations. This app allows followers of the Dave Ramsey Envelope Method to quickly see the total in each category, thereby assisting them in gaining control of their spending. For this app I explored the use of motion and animation to guide users through their experience. Motion makes the app feel alive, responsive, natural, aware and intentional. By creating energy and giving immediate feedback, the user understands that their interactions with the app will feel intuitive and natural.